In this tutorial we will review the installation of a theme on Simple Machines Forum (SMF) application. The process is easy and you can easily complete that following the steps in our tutorial. 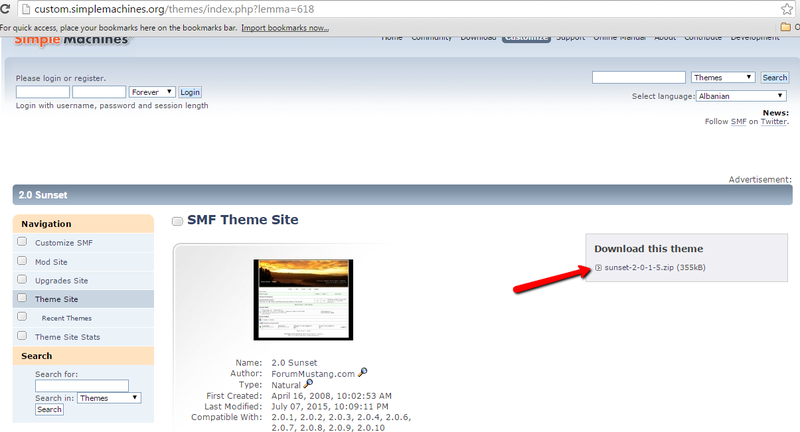 The first step is to download a theme for your SMF website. The best place to do that is the official SMF Themes Directory. You can browse through different themes and when you find one that you like, you can download it on your local computer easily. 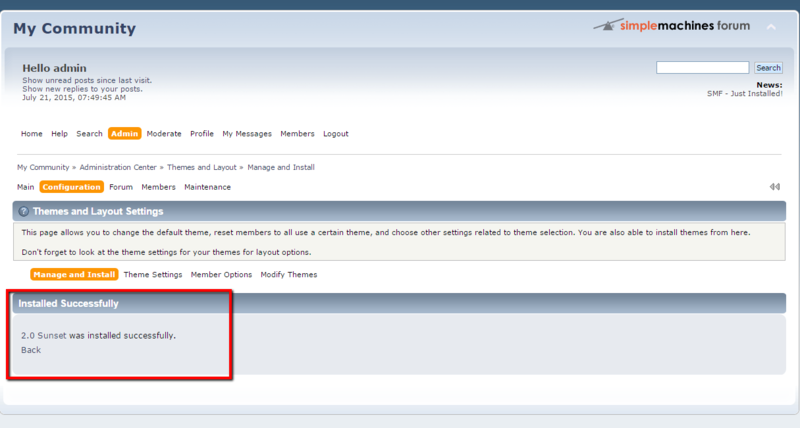 In order to install the theme we should login to the admin area of your SMF installation. 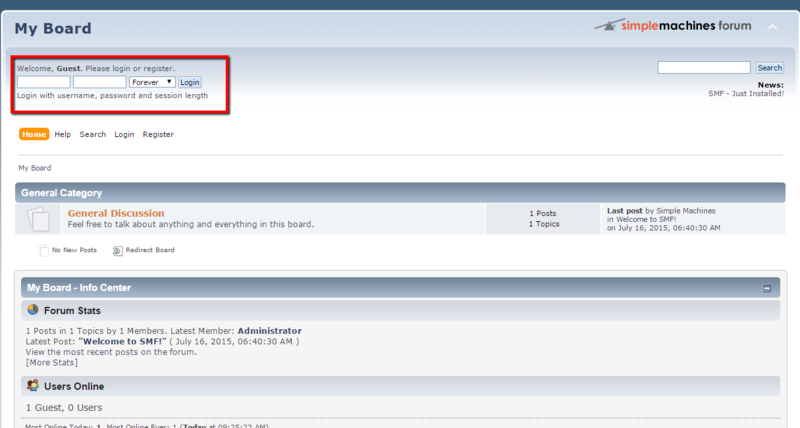 We can do so, using the login form in the top left corner of the main page of your forum. After the successful login as admin we should navigate to Admin -> Configuration -> Themes and Layout… -> Manage and Install. On this page we should scroll to the bottom in order to access the installation menu. 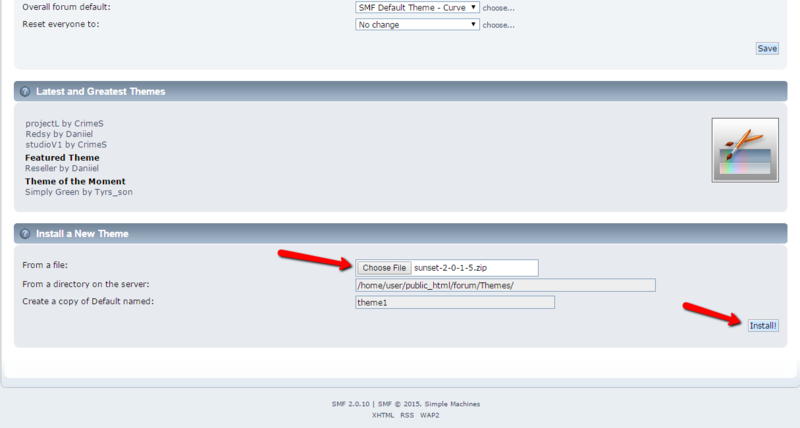 We can see that the SMF provide us with two methods to install a new theme. The first method is to upload a theme from our local PC and the other method is to upload the theme via FTP on the server and choose the path to the theme. If you are not quite familiar with the FTP service you can check our tutorials on how to use FTP client. For this tutorial we will upload the theme that we have download in the beginning from our local PC. After we select the theme we should press the Install button which is placed in the bottom right corner of the page, a conformation box will ask us if we really want to install the theme, press OK.
On the following page we will receive a message that the theme was successfully installed. After the theme is successfully installed we need to activate it so the SMF could use it as a default theme. First, you need to access the Admin section of your website. Click on the Configuration tab and then Manage and Install. Locate the Themes and Layout Settings section. 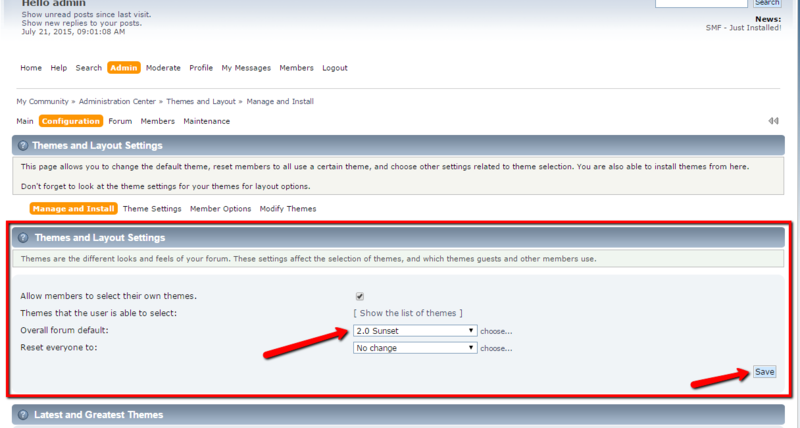 After we access this page we should select the name of the theme from the dropdown menu for the Overall forum default: and click on the Save button in the right bottom of the section. Congratulations! 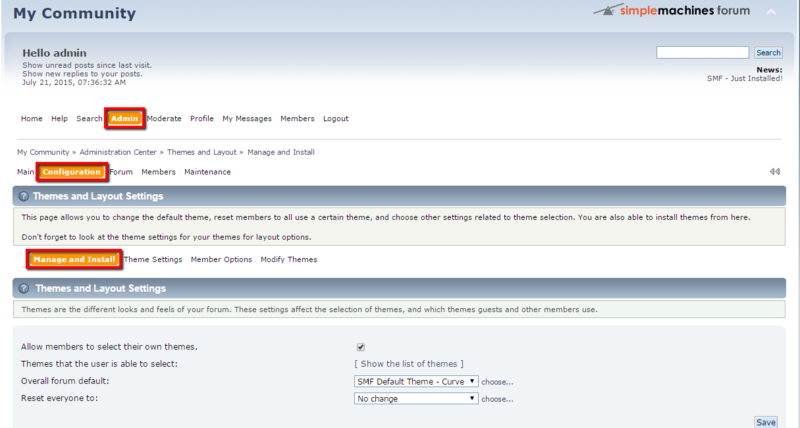 You have just installed and set as default a new theme for your SMF application!